← 20 year wedding vows – September Winner! We recently had a week long trip to Wanaka New Zealand. My young daughter (almost 4yrs old), mother and I had been looking forward to this trip for a long time and excited about seeing snow and penguins ! Unfortunately we were a bit too early for the snow, arriving on the 2 June, however we did see it way up high on the mountain peaks. But the breathtaking beauty of New Zealand more than made up for the lack of snow ! Wanaka in particular is such a gorgeous little town and it is easy to see why many people retire there. It’s a little town of beautiful mountains, with low lying clouds….You just feel like you’re in heaven ! We enjoyed eating at the “Cow” restaurant famous for it’s pizza and pasta. 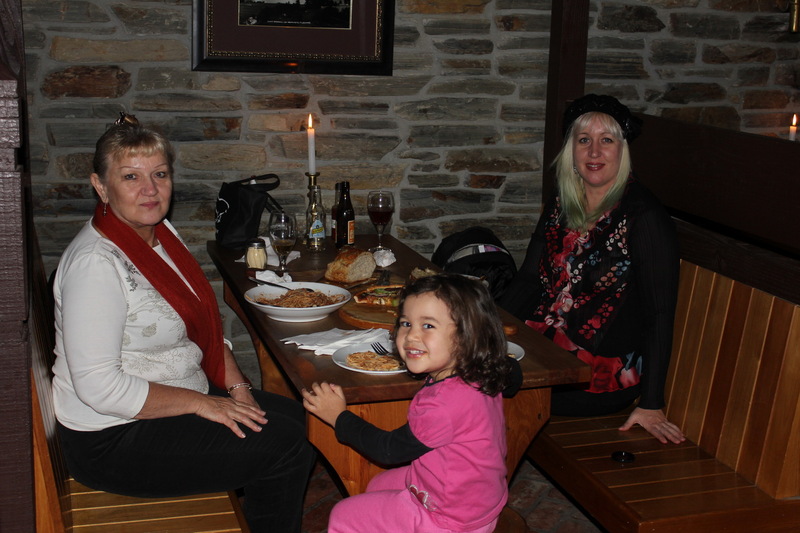 We sat by the roaring fire and enjoyed the cobblestone atmosphere of the building, as well as friendly staff, and yummy food ! We also really enjoyed the puzzling world, and the mountain views from the roadside cafes in Wanaka. tea/coffee, and served homemade sausage rolls and pies…. Yum ! In Dunedin. We went on a Penguin tour to see the Penguins coming onshore after a day out at sea…truly amazing ! So Wanaka is wonderfully positioned to go to different places if you’re up for a bit of driving. And during the winter time it is perfectly positioned in between two ski fields….We can’t wait to go back again ! 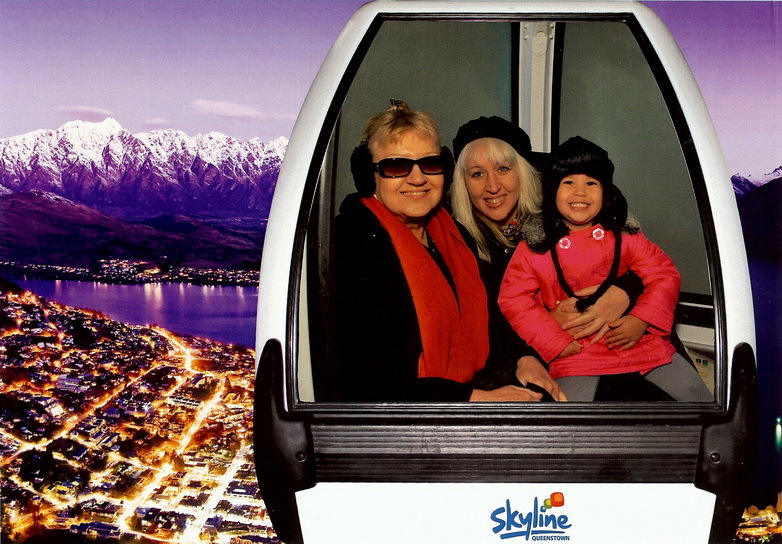 This entry was posted in (NZ) Wanaka and tagged family, holiday, new zealand, queenstown, resort, vacation ownership, Wanaka, worldmark, Wyndham Resorts. Bookmark the permalink. What a wonderful story filled with lovely memories. Great to see three generations of girls having good times together. I always thought Pedro was mad for buying that time share but now I see its worth.Thanks for sharing. We will have to catch up soon. Yes nice one there Fi – brought back some good memories of my visit there – Thanks. you look lovely as usual in the pics.